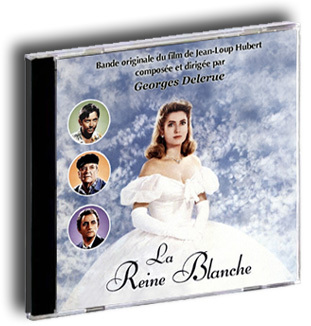 Georges Delerue's La Reine Blanche. First known for The Grand Highway, his biggest critical and popular success, Jean-Loup Hubert directed in 1991 La Reine Blanche (The White Queen), starring Bernard Giraudeau, Richard Bohringer, Jean Carmet and Catherine Deneuve in the title role. For this love drama, one of the very last films he scored, Georges Delerue (1925-1992), delivered a main theme played at the accordion that expresses the sense of melancholy that haunts the main characters. This recurring air, which unfolds slowly, as does the pace of life in the village, is given a few interesting variations as the plot progresses and the dramatic issues become clearer. Elsewhere, one can find some similarity with the strings’ music Delerue composed the year before for the romantic comedy Joe Versus The Volcano. There is above all a breathtaking theme heard in a crucial scene, when Deneuve puts the white dress that helped her win a beauty contest two decades earlier. The remastering of La Reine Blanche highlights some pieces that are usually considered of secondary importance: background and dance music, It is very successful and diversified, as several scenes of the film take place in cafes, bars, at carnivals and popular dances. These utilitarian pieces show here an unmistakable signature, proof that Georges Delerue spared no effort to adorn The White Queen. Georges Granier's Le Grand Chemin. This remastered reissue marks the 25th anniversary of Jean-Loup Hubert's Le Grand Chemin (The Grand Highway), starring Anémone and Richard Bohringer, one of the best films of contemporary French cinema. As this sentimental drama with many hilarious moments takes place at the end of the 1950s, in a rural community, it retains a timeless charm and generates a nostalgia characteristic of a classic. All of us lived for a time in a countryside similar to the small village of Rouans, where The Grand Highway’s tale takes place, if only during a summer vacation. We all had or dreamed to have a close friendship similar to the one that blossoms between the two young protagonists of the film, Louis (Antoine Hubert, the director’s son) and Martine (Valérie Guedj). It is through their eyes that we rediscover the mysteries of life, the laws of nature and the devastating consequences that can result from the loss of a child. Hubert’s choice to score The Grand Highway was surprising since the 59-year-old Georges Granier had no professional experience in the field. Still, the result proved to be highly successful. His score relies mainly on the piano, a small strings section, the flute and electronic keyboards. The thematic material is rich and varied enough to manage without a bigger orchestral treatment. 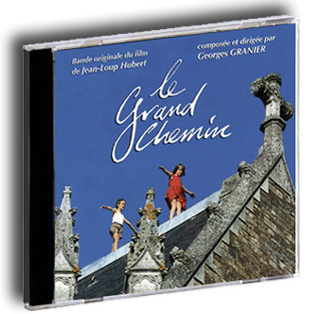 Granier’s sense of melody and poetical approach are reminiscent of Georges Delerue, of his ability to express the joy and the sadness of living within a few bars.